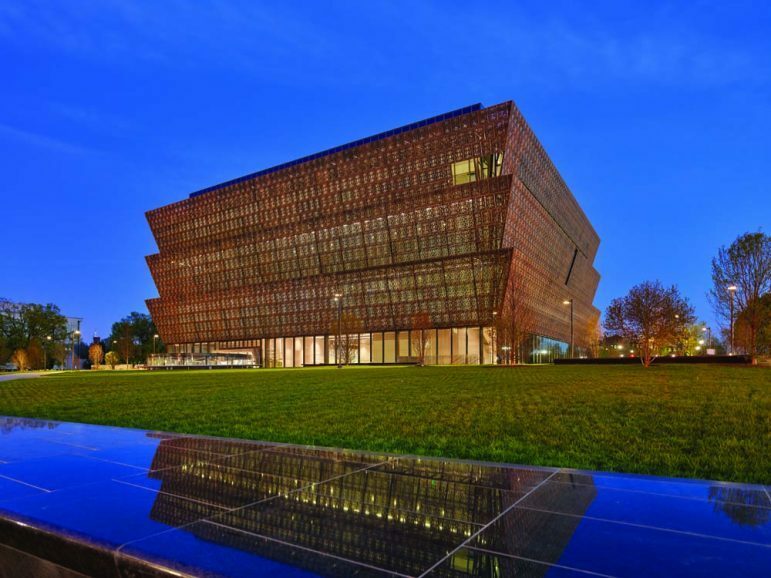 The idea of erecting a museum that would highlight the contributions of African Americans first received public attention more than a century ago, after Black veterans of the Civil War proposed the idea. But the real push occurred when Georgia Congressman John Lewis took up the mantle, securing the support of several of his colleagues. Finally, in 2003 then-President George W. Bush signed legislation that allowed the project to begin. On Saturday, Sept. 24, with the ringing of a bell borrowed from the First Baptist Church of Williamsburg, Virginia, founded in 1776 and one of the nation’s oldest Black churches, President Barack Obama officially dedicated the newest addition to the family of Smithsonian institutions located on the National Mall — the National Museum of African American History and Culture (NMAAHC). In his address, the president said that the museum was an essential part of America’s story. “What we can see of this beautiful building tells us that it is truly a sight to behold,” Obama said. “But what makes it special are the stories contained inside. It is this national museum that will help tell a fuller story of who we are. Still, given the recent outbursts of civil unrest that have taken place in Charlotte, North Carolina and Tulsa, Oklahma following the shooting deaths of unarmed Black men by police officers, the president also commented on what the museum cannot do. 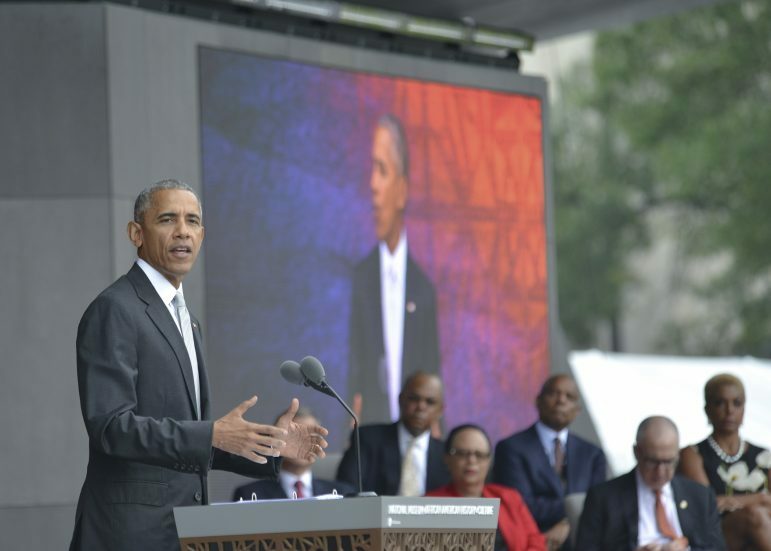 The president’s remarks served as the finale to a program attended by several hundred guests, many of whom were donors in a remarkably long fundraising initiative led by Lonnie G. Bunch III, the founding director of the NMAAHC. Meanwhile, as far as the eye could see, hundreds and hundreds of men, women and children lined the grounds surrounding the museum, watching the program on Jumbotrons, periodically shouting their affirmations throughout as participants including Stevie Wonder, Will Smith, Oprah Winfrey, Robert De Niro, Angela Bassett, Patti LaBelle, and an acapella jazz choir from Howard University mounted the stage. President George W. Bush and his wife Laura also joined the special guests on stage. Bush, passionate in his remarks, shared one statement that elicited a roar of agreement from the crowd and which Obama would reiterate during his address: “A great nation does not shy away from the truth,” Bush said, referring to the countless lessons that he believes the new museum, through its many artifacts and exhibits, could provide to all Americans. Kevin McNeir is a National Newspaper Publishers Association (NNPA) contributing writer. Thanks to McNeir and NNPA for sharing this story with us.